As I mention every year, we here at Football Garbage Time are all about helping out our readers. And with football season a little over a month away, we all know what that means…FANTASY FOOTBALL season is ALSO a little over a month away! So as everyone gets ready to root for their favorite NFL team, figure out who to bet on to win weekly games (with help regarding odds and picks on BetOnline) and getting ready to commit entire Sunday afternoons to eating lots of junk food and yelling at the TV screen when refs inevitably make yet another bad call on the field, some of us, including you I suspect, will be furiously tinkering with our fantasy football lineups and eventually wondering why the fantasy gods hate us when we end up losing by 0.01 fantasy points because Aaron Rodgers took one too many knees at the end of the game. Phew, that was a ridiculously long sentence. Say what you will about whether Fantasy Football is “good” for the NFL or not. 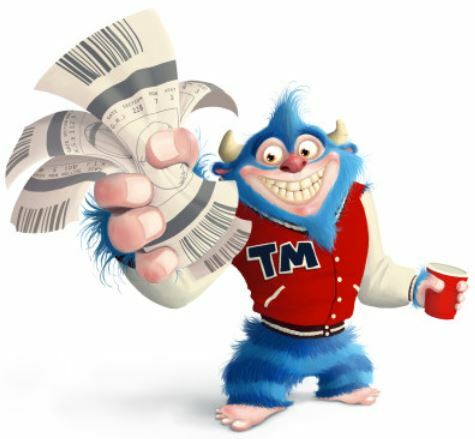 One thing we all agree on here is that playing Fantasy Football is a lot of fun…but only if you’re winning. So, as we do every year, the staff of Football Garbage Time conducted a live Mock Fantasy Football Draft on Twitter (just check out #FGTMockDraft) for a mock standard Yahoo 12-team league (1 QB, 2 RBs, 3 WRs, 1 TE, 1 K & 1 DEF with standard scoring) so that all of you can get some insight as to who we like for the upcoming 2017 season, and hopefully help all of you with your drafts. Below are the results of the first two rounds along with some of my comments as well as comments from those who made the picks. We also include the Average Draft Position (ADP) as of July 30th as per Fantasy Pros so you can see how we differ from how they’re currently being drafted. Don’t agree? Well, it’s a free country, so sound off in the comments! And don’t forget to come back to check out Rounds 3 and 4 of the mock draft! Also, don’t forget to check our special Fantasy Football primer edition Podcast! 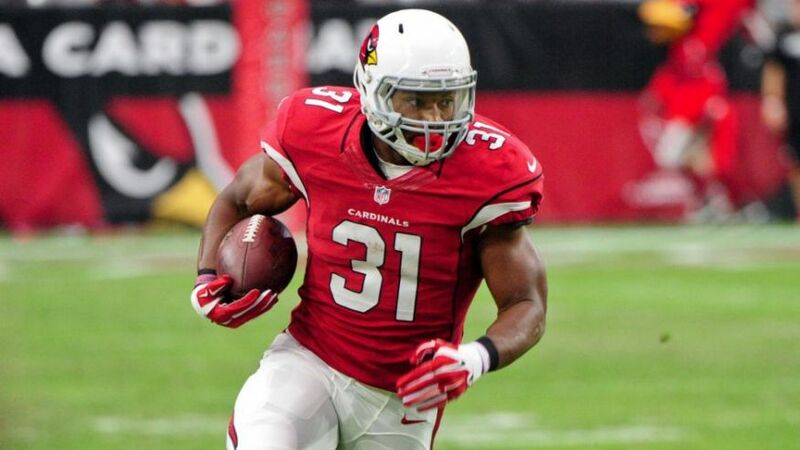 There’s no doubt that David Johnson is one of the best every down backs in the NFL. He does it all, regardless of how the Cardinals are doing, since he’s not only one of the NFL’s most prolific rushers with the 7th most rushing yards (1239) and 3rd most rushing attempts (293) in 2016, but he’s also one of the best all-time pass catching backs in the NFL as per Pro Football Focus. In fact, Johnson had the MOST all-purpose yards (2118) and total TDs (19) out of any RB in the NFL in 2016. So yeah, with or without Carson Palmer and the passing attack, Johnson is going to get his. As for Brandin Cooks, that makes a lot of sense an upside WR in the late second round in light of the move to the prolific Patriots offense. He did have the longest reception of any WR in 2016 (98 yards), which will be tough to best in 2017, but I suspect he’ll get plenty of opportunities for long TDs, as the Patriots aren’t known for taking their foot off the gas regardless of score. I’m sure homerism played some part in Ryan’s pick, but in this one instance, I approve. He has to be the unanimous number 1 pick right? He can run, catch and score from anywhere. And unlike the other top 2 backs, he stay’s out of trouble. The most important ability is availability. It may not be quite the Brady-Moss connection, but Cooks is certainly the most explosive talent Brady has had since. And by all accounts these two are tearing up training camp. Given the guys available here, I’ll take Cooks at 24. Even in a shortened 12 game 2016 season, Le’Veon Bell still had the 5th most rushing yards (1268) leading to the 2nd most rushing yards per game (105.7) in the NFL, ultimately resulting in his second Pro Bowl appearance. On top of that, he was a solid pass catcher totaling the 3rd most all-purpose yards (1888) in the NFL in 2016, and hardly came off the field with the highest snap count percentage in games played (90.4). He’s also one of the most consistent RBs in the NFL, ranking 3rd in Football Outsider’s “success rate” score in 2016, which measure the percentage of the player’s successful plays. In fact, Bell had 100+ total yards and 20+ touches in EVERY GAME BUT ONE last season. How’s that for consistency? You don’t take chances with your first round pick if you can avoid it, and there’s no better “money in the bank” pick than Bell. And Jordy Nelson late in the second round? What?? How is he still here at that point? Coming off a major injury in 2015, Nelson started slow and really picked up steam in the second half of the season, garnering the highest improvement rating of any WR in the second half of the season (31.1). He ultimately had the 5th most receptions (97), the 6th most receiving yards (1257) and the MOST receiving TDs (14) of any WR in 2016. If he averages in 2017 what he did in 2016, Nelson should be taken in the late first round, not the late second round, of any draft regardless of format. With no proven commodity yet in the backfield, Aaron Rogers will have to keep throwing to win games, and Nelson is sure to be the primary beneficiary. Antonio Brown was a top 3 pick in 2016 and remains a solid top 3 pick in 2017. In 2016, he had the 5th most receiving yards (1284) and the second most receiving TDs (12) of any WR, and that was actually a down year for him. He’s one of the most consistent overall WR performers in the NFL. Over each of the last four years, he’s had the most or second most receptions of any WR in the NFL. Brown also has the 4th most receiving yards per game (82.9) over his career of all active NFL WRs. He had at least 100+ yards or a TD in 10 games last season, and was essentially always on the field. If you need solid, you found it. Todd Gurley, on the other hand, was probably one of the most disappointing first round picks of 2016. After a breakout 2015 season, Gurley regressed significantly in 2016 with just 885 total rush yards and 6 TDs on flailing Rams team. He ended up ranked 37 of 42 RBs by Football Outsiders with at least 100 rushes, behind the likes of Matt Asiata and Christine Michael. So, yeah, it will be hard to trust him again, as we’re all having thoughts of a Trent Richardson-like bust coming. But there’s hope in Los Angeles behind a new head coach, Sean McVay, and a new offensive philosophy. Gurley has bought in completely to the revamping, but whether it will matter on the field or not is yet to be seen. The days of taking a RB at the top of fantasy drafts are a distant memory, like your landline home phone. For some reason the managers in this league didn’t get the fax. 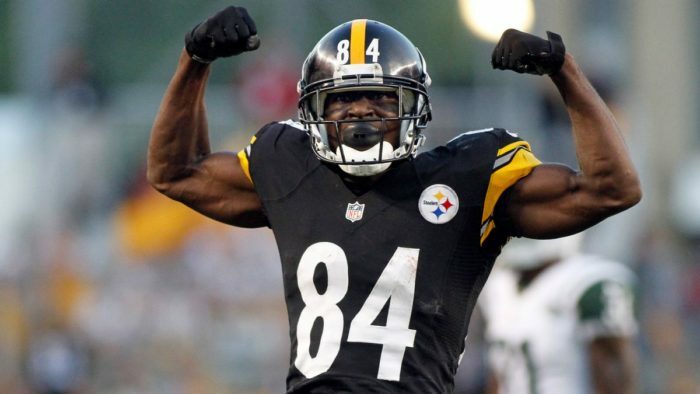 With the third pick I was able to land WR Antonio Brown. Brown has been the top Fantasy WR in the league for awhile now and there’s no sign of him slowing down. Imagine how great he could be if Bell was available full time. With the second pick I drafted RB Todd Gurley. I’m not a huge fan of the direction the Rams are headed and I think Gurley has underperformed. However, it would be too difficult to pass him up at the end of the second round. The WR-RB or RB-WR combo is the choice du jour in this mock draft. But I do like the upside of OBJ with Lamar Miller. OBJ will continue being a beast, and should have even more freedom with Brandon Marshall and Evan Engram added to the mix. But Millar, on the other hand, had 8 games last year 83 rush yards or less and no TDs. Being a 50/50 player doesn’t give me the consistency I look for in an early round draft pick. However, the Texans offense is only one QB away from being more than simply relevant, and Deshaun Watson can be that guy. So the upside is certainly there. Just make sure you also have a plan B. Because of a lot of uncertainty in the wide receiver position for the 2017 season, I decided to target a wide receiver with the 5th pick. With 101 receptions, 1367 receiving yards, an average of 13.5 yards per reception and 10 touchdowns in 2016, there is no denying the skill of Odell Beckham Jr, wide receiver for the New York Giants and quarterback Eli Manning’s favorite target (169 targets in the 2016 season). Entering his fourth season and looking for a paycheck that matches his ego, OBJ will be looking to show the NFL he’s worth his desired high price tag. In 2016, OBJ had 8-weeks of 10+ fantasy points and 2-weeks of 20+ points. In 2017, the pressure remains high for OBJ to continue to be the playmaker that he’s built his reputation on during his NFL career (one handed catch, anyone? ), and the Giants will be looking to shift into high gear as they look towards post-season goals and Super Bowl dreams. So, what happened in the second round? First off, let me begin by stating that I was targeting DeMarco Murray (RB – Tennessee Titans) or Jordan Howard (RB – Chicago Bears) for my second-round pick. With that said, there are a lot of theories of how we should draft to get the optimal fantasy team for the season. But no matter what the experts say, there just isn’t one right way. There are just players and what we as fantasy owners value that particular player. So, I might have panicked. With my heart set on drafting a running back, I ignored Jordy Nelson (WR – Green Bay Packers) and Amari Cooper (WR – Oakland Raiders). Both great options for your fantasy roster. Coming over from the Miami Dolphins in 2016, Miller had 268 attempts, 1073 rushing yards (his second-best season in the NFL), 188 receiving yards and 5 rushing touchdowns and a receiving touchdown. With an uncertain quarterback role for the Houston Texans (the 2016 acquisition of Brock Osweiler from the Denver Broncos now with the Cleveland Browns), Miller can be considered a high volume running back who can dominate for the Texans. In 2016, Lamar Miller had 4-weeks of 5+ fantasy points, 7-weeks of 10+ fantasy points and one week with 20+ fantasy points. The numbers are solid. Unfortunately, the Texans drafted running back D’Onta Foreman in the third-round of the 2017 NFL draft. Foreman rushed for 2028 rushing yards and totaled 15 touchdowns in his junior-year at the University of Texas. A physical running back at six-feet and 233 lbs, Foreman will more than likely siphon opportunity from Lamar Miller, especially at the goal line. Foreman’s role on the Texans (although uncertain) will diminish Miller’s fantasy potential, so handcuffing Forman in a later round should be a consideration. 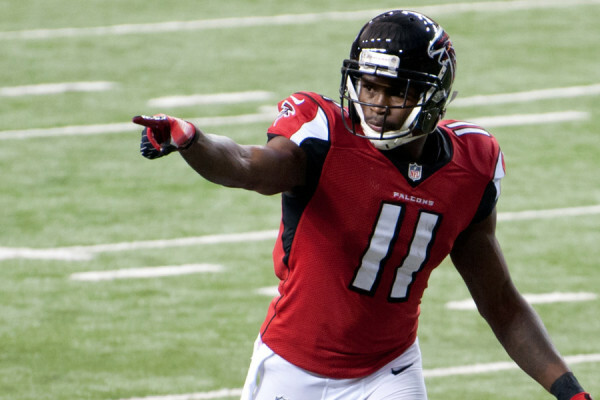 We all know how good Julio Jones can be, and he was a significant reason why the Falcons made the Super Bowl and almost won it. He was the top ranked WR in 2016 by Football Outsiders according to DYAR on the back of the 2nd most receiving yards (1409) of any WR in the NFL. There’s no reason to think he won’t repeat on a angry Falcons team that will be looking to redeem itself after a colossal collapse in Super Bowl 51. DeMarco Murray managed to rediscover his groove in 2016 with the Titans after huge fall from grace in 2015 with the dysfunctional Eagles. Interestingly, he’s in another timeshare of a sorts in Tennessee, but behind a much better offensive line and in a much more strategic committee. Derrick Henry will steal some carries, but that kept Murray fresh throughout the season to pound the rock to the tune of 1288 total rush yards and 10 rushing TDs. In fact, he ranked 11th by Football Outsiders in RB “success rate” (5). If he can keep this up, and he should with the additional receiving weapons in Tennessee pulling defenses off the line, then he’ll be well worth the second round selection. At 6th overall, Ezekiel Elliott could be a steal. But then again, we’re still unclear what if any suspension he’ll get for all the various off field issues he had over the last year. Assuming it’s 2 games or less, 6th overall is great. 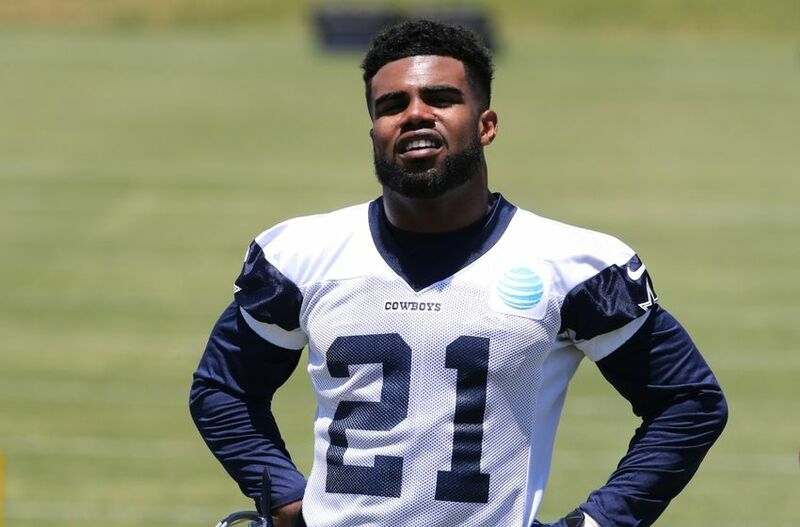 We all know what Elliott can do, as he was the top ranked RB in 2016 pursuant to DYAR on Football Outsiders. And one more year shouldn’t make him worse, as unlike with Todd Gurley, he has a solid offensive cast returning with him. But if it ends up being 3 a game suspension or more, it’ll get a bit more dicey. Risky pick, but I like it. Tom Brady is about as close to a sure thing at QB as you can get. But I’m not a fan of taking a QB in the first three rounds, since I think you can take a solid one in the fourth or fifth round like Andrew Luck, Russell Wilson, Matt Ryan or Kirk Cousins, which allows you to build on getting solid RBs and WRs. But heck, if you’re going to go safe up front for QB, it’s reasonable to grab Brady. Zeke led the league in rushing yards (which I agree that anyone could do running behind that incredible Dallas O-line) while also dealing with the baggage that he had carried at Ohio State. I felt as if that was a massive feat for a rookie season and he had handled it very well. 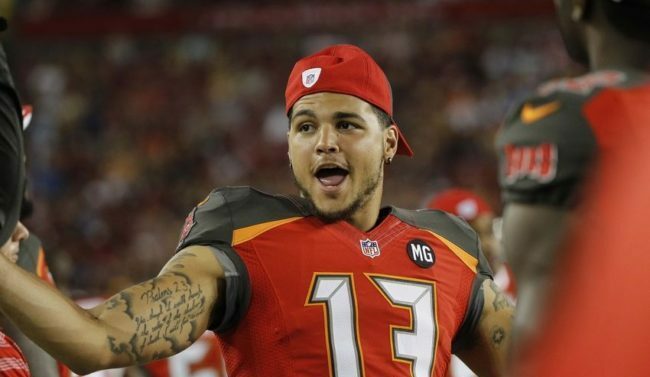 I really like the Mike Evans pick in the first round. With another year of improvement with QB Jameis Winston, and the addition of veteran WR DeSean Jackson and rookie TE O.J. Howard, Evans has potential to be more productive than ever before. And since the backfield is still questionable with Doug Martin serving a 3 game suspension, the Bucs will have to pass to stay ahead. Of course, just because I think Winston is improved doesn’t mean I want him in the second round. Perhaps I reach a little to grab him in the fourth or fifth round, but even late second seems a little early to me. With so many RBs going early in the draft I was able to land a steal with WR Mike Evans late in the first round. I targeted Evans last year and he paid off big time. I expect Evans to have another big year with Winston continuing to grow and the addition of Jackson at WR. With my second pick I took the first QB off the board, Jameis Winston. Before everyone jumps on me for not taking Brady or Rodgers, hear me out. I really like to pair my WR and QBs together and I think Winston will be a top fantasy QB this year. Maybe he would have been there for my next pick, but I couldn’t take the risk. Guess what? As a rookie, Michael Thomas was the 2nd highest ranked WR in 2016 pursuant to DYAR on Football Outsiders. Surprised? I was. He managed to catch 76% of his targets and totaled 1,137 yards with 9 TDs. With that performance, Thomas was the second highest graded rookie WR in the past decade. As for Jordan Howard, I have to hand it to Ryan. He was on board way before I was. In 2016, before the preseason, Ryan was all on board with Howard while I was pining away for Devontae Booker. And through his rookie season, Howard amassed over 1,600 total yards and 7 total TDs. As for Booker, well, he might not have a job for much longer, plus he’s injured. I won’t make the same mistake twice. The Bears essentially have no other weapons, which does encourage opposing teams to stack the box, but Howard won’t lack for opportunity. Plus, who’s going to shred that second string defense once the Bears go down by 3 scores in the 4th Quarter? Mr. Can’t Guard Mike is poised for a Sophomore year break out. 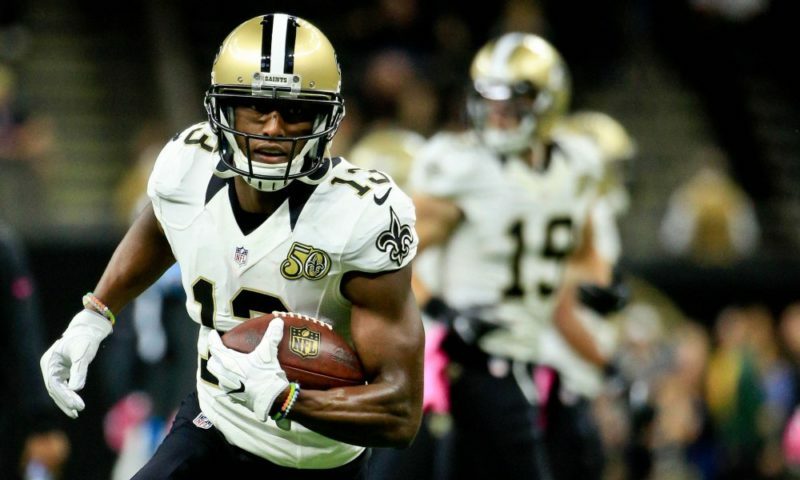 With a great rookie season behind him and the departure of Brandin Cooks he’s guaranteed to be a top ten WR this year. I hate runs. Between my pick at 8 and 17 a whole slew of great RB’s came off the board. So, I had to grab Howard earlier then I would’ve liked. I needed at least a second tier RB1 on the team. I was high on him last year in the draft but like most gave up on him in the first few weeks, dropped him and watched him subsequently take off. Hopefully he builds off year 1. Thanks Ha Kung! 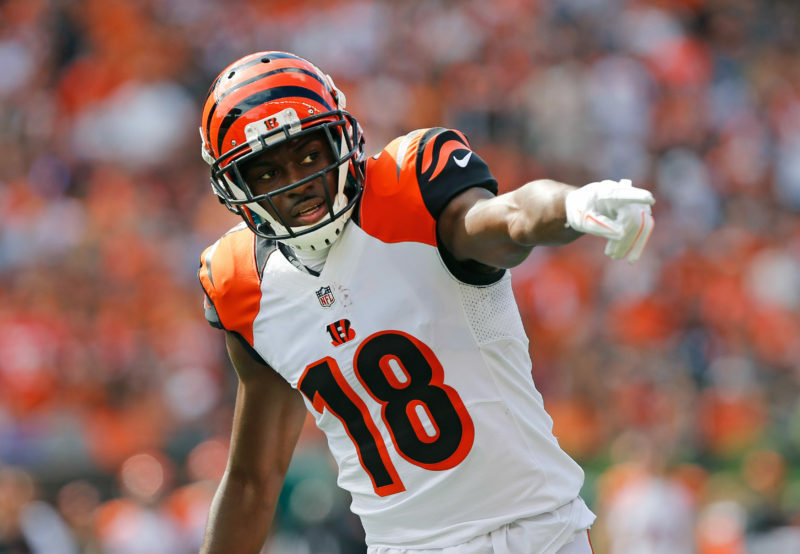 AJ Green only played in essentially 9 total games last season, missing 5 due to a hamstring injury and 2 due to the Bengals management pulling the plug at the end of the season. Green wasn’t happy, but he’s fully healthy for 2017, and that’s what counts. And even with only 9 games, Green was still Football Outsider’s 11th ranked WR in 2016. With high upside rookies John Ross and Joe Mixon joining the crew this year, opposing offenses will have much more to worry about this year. That means, presumably, that Green will be able to pick exactly where he left off and maybe even win a few games this time around. The Bills don’t have much, but they do have Shady McCoy. He was the 2nd ranked RB in 2016 according to Football Outsiders, totaling over 1,600 total yards and a whopping 14 total TDs. The Bills will likely have to play from behind a lot, but with Mike Gillislee going to the Patriots, there won’t be much danger of Shady losing carries this year. I took Melvin Gordon first round. Gordon’s rookie season is long behind us. Without Woodhead in the backfield, there is no one to to challenge Gordon. That along with a new head coach, Anthony Lynn, who will focus a bit more on the run game and I think Gordon has a massive season. I took Dez Bryant at the start of the second round. Dez is 100% this year. With great chemistry between him and Dak Prescott I think Dez could be in for his best fantasy season yet! This one was interesting, because I see this as the first WR-WR upside combo in this mock draft. My problem is that Edelman is great, but with the addition of Cook and Gronkowski returning from injury, there are necessarily going to be less targets to go around. It’s possible for Edelman to be a decent WR1, but I wonder about whether you can count on week to week consistency. I like TY Hilton for consistency better. Hilton was the 4th ranked WR in 2016 pursuant to DYAR on Football Outsiders. With Andrew Luck coming off of injury, there’s some risk, but I think we’ll see a lot more from Hilton in 2017. 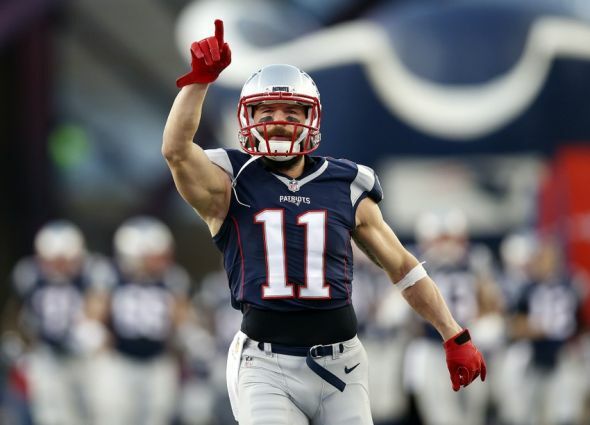 Edelman is a quick slot receiver who will make a 7 yard slot pass turn into a 40 yard gain. His incredible clutch catch over Robert Alford during Super Bowl 51 is an all-time great. 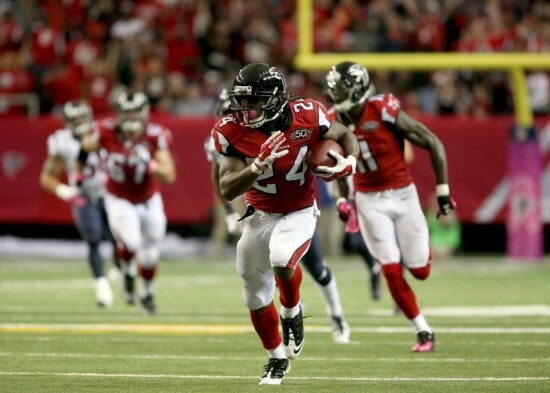 The primary problem with Devonta Freeman is that he’s in a clear timeshare with Tevin Coleman. The interesting thing about that is that both parts of that timeshare are still worth owning. In fact, Freeman was the 12th ranked RB in 2016 pursuant to DYAR and had the 12th ranked “success rate” on Football Outsiders, while Coleman was 18th and 25th, respectively. Freeman showed a second year of consistency where he again had a 1,000+ yards rushing and 11 rushing TDs, almost identical to 2015. He was down some receptions ending with 462 receiving yards and 2 receiving TDs, about 100 yards less and 1 TD less than 2015, and keep in mind that he amassed these stats over 16 games in 2016 rather than 15 games in 2015, but I think he’s proven that he’s a relatively predictable commodity in fantasy football. Definitely a solid late first round pick. As for Jay Ajayi, I have mixed feelings about him. After Lamar Miller left, Ajayi busted onto the scene to the tune of 1,272 rush yards (good for 4th best in the NFL) and 8 TDs, being ranked 7th in DYAR in 2016 on Football Outsiders. However, Ajayi had a “success rate” (which is a reflection of the effectiveness of the run as compared to the down and distance and situation) of only 43%, good for 32nd among 42 RBs with at least 100 rushes. So getting stats can be meaningless if he’s not getting the job down, such as the necessary yardage for first downs or appropriately running out the clock, he may get less playing time as pass happy Adam Gase won’t hesitate to employ and pass first offense. Don’t get me wrong, I still see plenty of opportunity, just not as predicable as other backs. Don’t forget to follow #FGTMockDraft for more draft picks and check back for our analysis of our 3rd and 4th Round picks of our Twitter Fantasy Football Mock Draft!